Just listed golf course home in Freeport, FL. 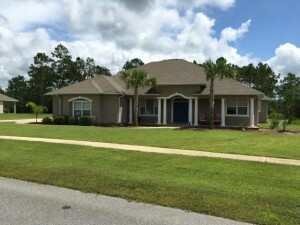 Located on the 13th fairway in the golf course community of Windswept Dunes this home features 4 bedrooms, 3 bathrooms, a fireplace, screened porch, large backyard, open kitchen, and 2,393 sq. ft. of heated and cooled space. Situated on over a 1/2 acre lot this Freeport home offers plenty of privacy while being only a short drive to popular Scenic 30A and Destin. Windswept Dunes offers golfing, a community pool, biking, tennis courts, a clubhouse and so much more! Call today to schedule an appointment to see this beautiful golf course home for sale in Freeport. Contact us at The Beach Group at 850.231.9007 for more information on Freeport real estate.